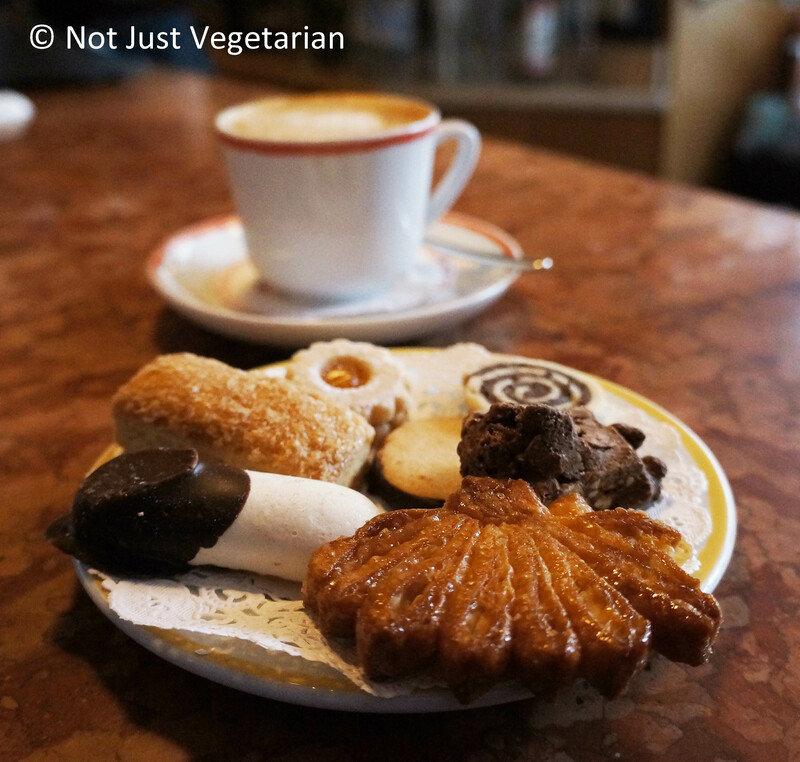 After a casual brunch at Tremont in the West Village, we were walking down West 4th St, and felt the need for some cookies and an afternoon coffee / tea, when we came upon Sant Ambroeus. The bar was the only option if we wanted just coffee / tea and some cookies. There was only one bar stool at the bar, but the host quickly found another one so the two of us could sit together at the bar. A huge plate of cookies arrived. We were full from the brunch that we ate at Tremont, and yet craved some cookies. So, we asked the server if we could get a smaller plate (even though a smaller plate was not listed on the menu) and she said we could. When the cookies arrived they were chilled and made me feel that they were not fresh. Don’t all cookie recipes say that once made, cookies stay fresh when stored at room temperature in an air-tight container? Did the restaurant run out of air-tight containers or did their guests prefer the cookies chilled? The cookies tasted fine, though I cannot say that I loved them. My fellow diner was happy with his cappuccino. “Trust Italian places to have good cappuccino” – were his words. I like fresh mint tea and the server got me the same, although fresh mint was not listed on the menu. 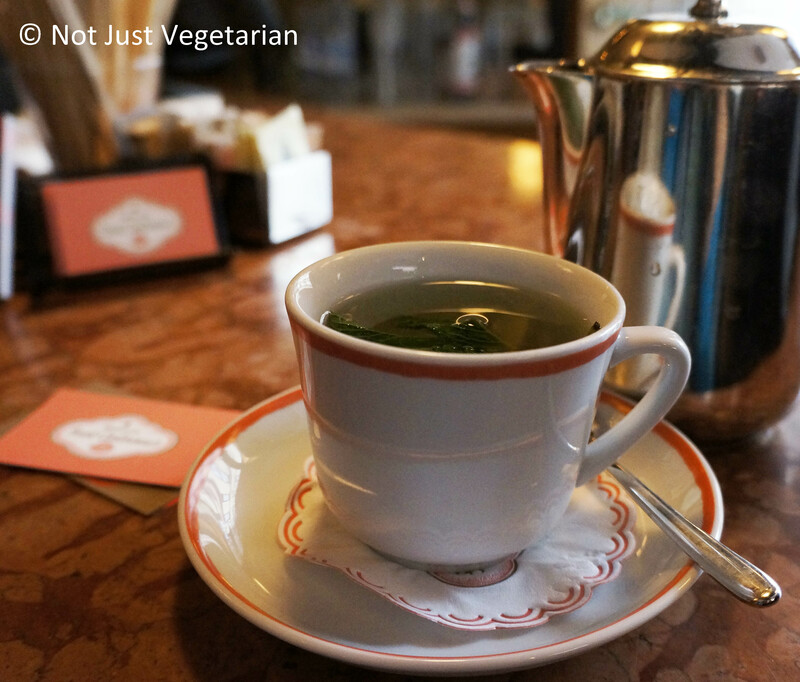 Overall, Sant Ambroeus (West Village) felt worth visiting again – we got good service and liked our coffee / tea. The desserts (which sound sinfully delicious) are reason enough for us to try Sant Ambroeus again.